Northwest Wyoming is one of America’s most exciting year-round travel destinations. Jackson Hole Mountain Resort was voted the No. 1 North American ski destination by SKI magazine in 2014, and has had a distinguished spot on the travel lists of Conde Nast and Forbes for years. 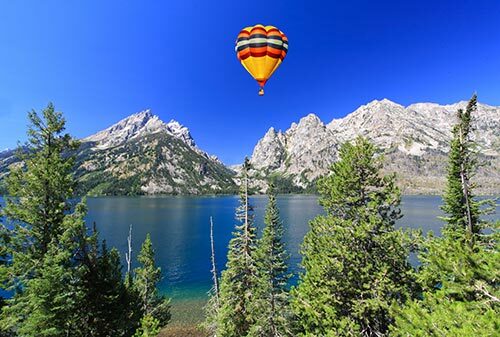 From spectacular National Parks and pristine mountain ranges to abundant wildlife and endless recreation, the greater Jackson Hole region is a mecca for those who love the outdoors. Featuring picture perfect days in any season, and a wide range of activities to suit every member of your family, a Jackson Hole vacation is about relaxation, good friends, and unforgettable experiences that still make you smile long after you leave. 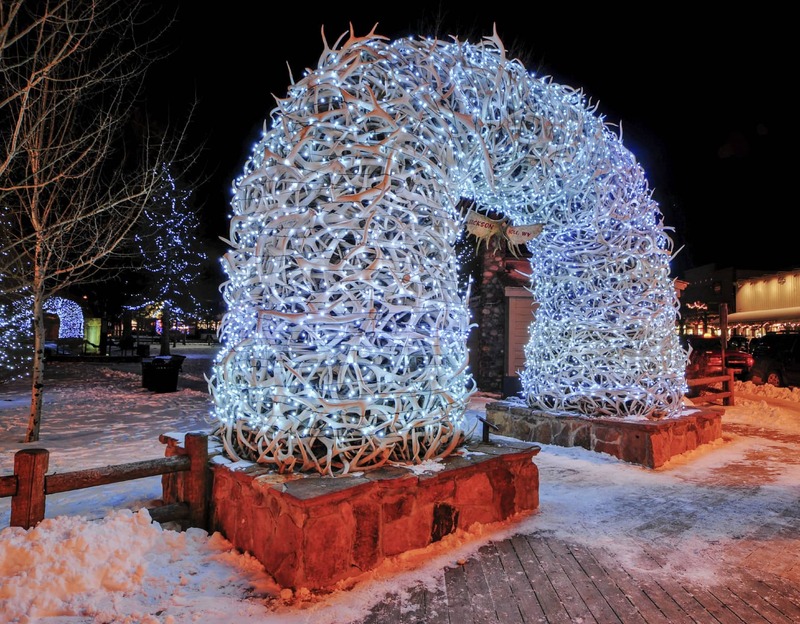 Elk antler arches line the Town Square in downtown Jackson Hole. In the heart of downtown Jackson, you can’t miss the prominent elk antler arches in each corner of the Town Square. In the winter months there is ice skating available, and the summer months feature the “Old West Shootout,” a lively Western performance held every evening on the square. Old West wooden boardwalks line the streets and feature art galleries, unique boutiques, and countless dining options. In the evening, the bars and nightlife provide great entertainment, as well as a chance to see the spirit of the West come alive. 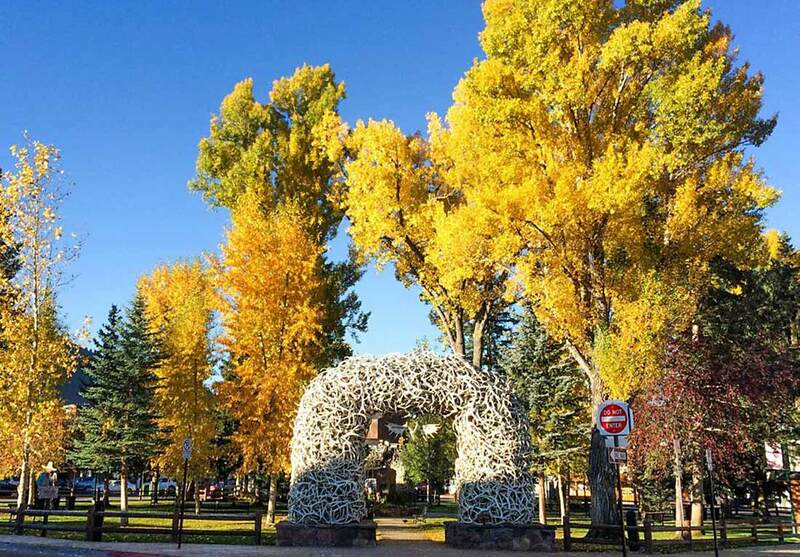 A spectacular fall day on the Jackson, Wyoming town square. Summer in Jackson Hole is filled with miles of alpine trails for hiking, mountain biking, and horseback riding. Two championship golf courses will test your game, and pristine rivers combine with some of the region’s most glorious terrain to make the area a world class fly-fishing destination, and white-water paradise. Jackson Hole has no shortage of special events in the summer season. Some of the locals favorites are the Saturday morning Farmer’s Market on the Town Square, and the twice weekly Jackson Hole Rodeo, Jackson’s first spectator sport. Most weekends you will find an opportunity to enjoy an art fair or a live music show. A great way to spend an afternoon in Jackson Hole. Skiing has been a part of Jackson Hole since the early 1900s. Today 2,500 acres of deep powder, groomed runs, and breathtaking backcountry will make your winter vacation a memorable one. Skiers and snowboarders can explore the world-class Jackson Hole Mountain Resort, as well as two other local ski areas. Snow King, which towers above the town of Jackson, is a favorite for day and night skiing, while Grand Targhee is known for its epic snow conditions and huge views of the Tetons. Jackson Hole is a winter playground for all, providing cross country skiing, dog sledding, snowmobiling and snowshoeing. Visiting Yellowstone by snowcoach or snowmobile is a unique and memorable experience. When it’s time to relax and unwind from a day in the mountains, you can enjoy a soak in a nearby natural hot springs, or visit one of the area's award-winning spas. Two miles north of Jackson, you’ll find Teton Village. 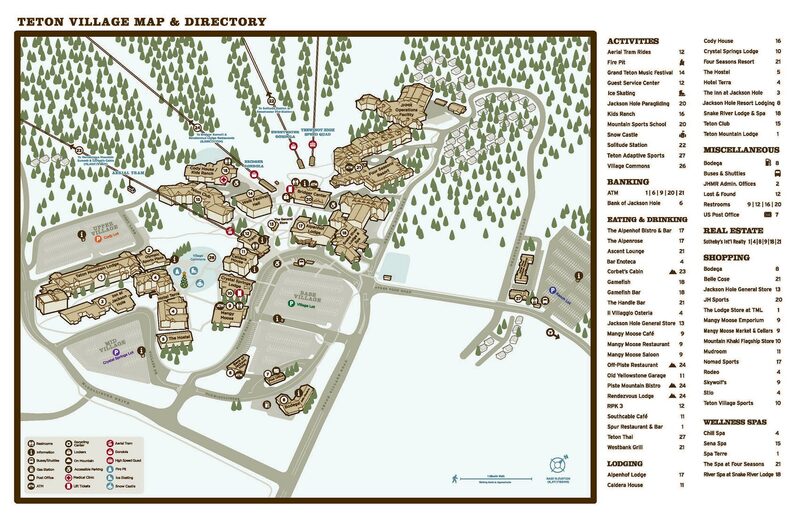 Teton Village has grown over the years to become a year-round mountain resort and serves as the perfect starting point to exploring both Grand Teton National Park and Yellowstone National Park. "The Village", as it's known to locals, is a bustling hub of restaurants, bars, shopping, spa, special events and daily activities. It is host to the Grand Teton Music Festival and Rendezvous Music Festival and is popular with guests that want the convenience of ski in ski out while having a good selection of après and evening spots during the winter.